The Point Condominium South Tower is located in the heart of Aventura Florida and is a 32 story contemporary residence completed in 2002. It contains 288 residences in spacious configurations that evoke single family living in a condominium and exclusivity. Privacy is paramount at these residents a fact which is ensured by there only being five residences per floor and semi private elevators. Each residence has an incredible view of the Instracoastal Waterway to the east and the Atlantic Ocean to the north and west. There are also views of Gulfstream Park and the Fort Lauderdale area. Aventura offers an abundance of leisure and lifestyle opportunities in the heart of South Florida. Boating abounds in the many water areas in Aventura from Intracoastal to Deep Sea, and shopping is at your fingertips at either the Aventura Mall or the Shoppes at Bal Harbour. Casual and gourmet dining is also seconds away at a number of chains or also chef famed dining including Il Mulino, Makato, or Ruth's Chris Steakhouse. 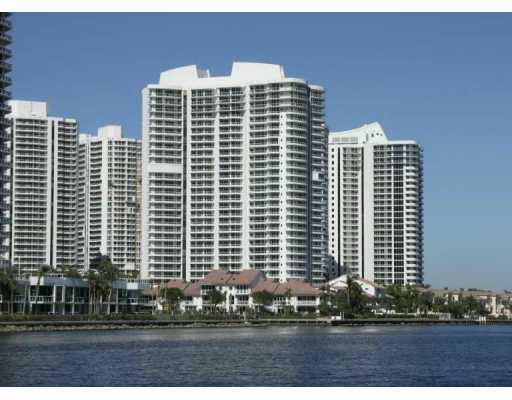 The Pointe Condominium offers boating, views, and private living at your fingertips in the middle of South Florida.